Zoe is a 16 year old who does not really fit in…not at school, not with her “friends”, pretty much not anywhere. She is studious and quiet and prefers to sort of watch life as opposed to being a real participant. Zoe doesn’t get a lot of things…why she has a cowlick in her curly hair, why relationships are so hard, why everyone else has more cosmetics than she does. She spends most of the year away at school and spends summers on digs with her archeologist aunt and uncle. This has been Zoe’s life since the death of her parents years ago. Ok…Zoe goes off exploring and touches or pushes at something that she perceives to be a huge iPhone. When she wakes up she is in the past to the time when gods and goddesses ruled while chilling out on top of Mount Olympus. 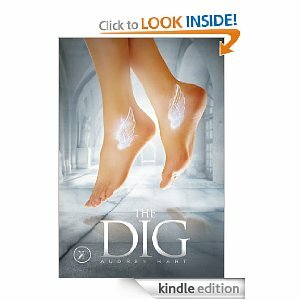 Zoe finds herself with some powers…unfortunately nothing glam…she is powerful with dirt…lol…and under the scrutiny of these gods and goddesses who are her age and remind Zoe of the people she goes to school with. These gods are described with a keen sense of humor. There is a really cute guy and mean girl and a bully and followers…sort of a typical high school in crowd…only with names like Zeus, Artemis, Poseidon and Hera…among others. There are two who remind Zoe of a couple on MTV’s Jersey Shore, one who could be in a Lifetime movie and no one is very nice to her other than Zeus. When Zoe tries to explain to Hera that gods don’t exist in the real world and that if anyone is worshipped it is someone like Kim Kardashian…she sort of sets off a rage in the gods that cannot be stopped…and Hera is especially furious and enraged because Zeus seems to prefer Zoe and not her. These narcissistic high schoolers in god and goddess bodies want Zoe gone…in the worst way. I totally loved this book. The combined wit and humor and cleverness in the dialog was so much fun. Favorite line? Hera describing Zoe as “dangerous and unpredictable” and Zoe responding by stating that in her world those are the names of celebrity perfumes. I loved the mix of teaching and humor. I think readers will learn and laugh while reading this book. I did. Target audience for this book? That would be anyone…middle grades , high school grades and anyone who loves YA with a little bit of a hit…funny snarky good humor. I adored that part of this book. Audrey Hart has her own style. I loved reading about these characters. She made a book about mythology interesting and lively. There was adventure and danger and excitement. There was an ending that is making me crave more…but it is a trilogy so hopefully that will happen in a timely manner. Slow Cooker Chocolate Cake…Slow Cooking Away!!! I wish they'd quit with the trilogies already, even though this one sounds like a lot of fun! You certainly make it sound fun. What is up with all of the trilogies? I want to be a rebel and come out with four books. I haven't heard of this one, but it does sound good. Thanks for sharing…. Haven't heard of this one, but it sounds like a fun read!